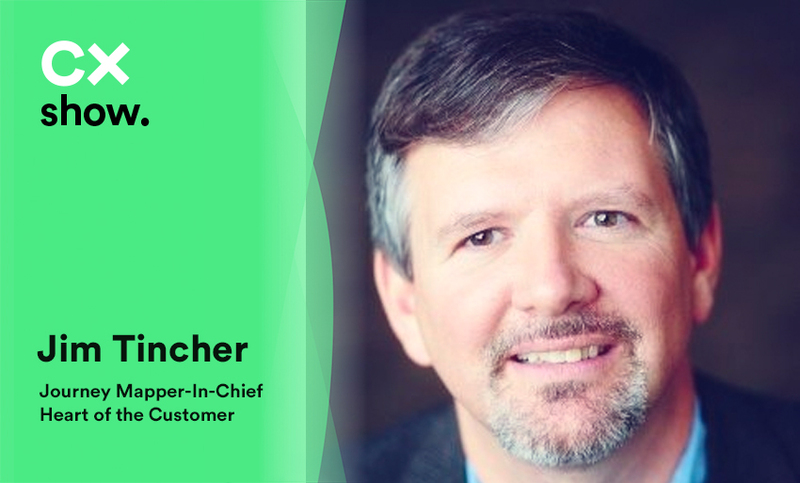 On this episode of The CX Show, our co-founder and CEO, Dan Michaeli, sits down with Jim Tincher, Founder and ‘Journey Mapper in Chief’ of Heart of the Customer, a company that specializes in customer journey mapping headquartered in Minneapolis, Minnesota. One particular project that was highlighted in the podcast was Jim’s work with Meridian Health (now Hackensack Meridian Health.) The problem that Meridian was facing was understanding the advanced radiology journey (CT scans, ultrasounds, and MRIs) and what that looked like. They wanted to improve that experience in order to build more customer loyalty, because the patients loved the hospital itself, but they were not necessarily choosing them for radiology. Once Jim and Heart of the Customer had worked out a customer journey map with Meridian, the hospital was able to implement a system where they let their patients voice their concerns and opinions and encourage them to take the wheel on their own personal journeys. Previous articleDoes Decreasing Average Handle Time Improve Customer Experience?